Ok emoticon. Thumb up emoticon. Set of hand emoticon vector isolated on white background. Gestures emoji vector. 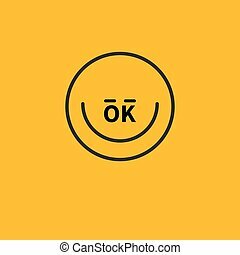 Smile icon set. Emoticon icon web. Thumbs up and ok gesture.